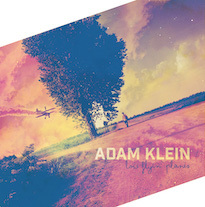 An Atlanta-via-Athens, Georgia-based singer/songwriter and troubadour, Adam Klein’s music touches on Americana, rustic country folk, folk-rock, and West African Mande music. 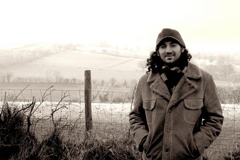 He performs in a variety of settings– either solo/duo, with his band, Adam Klein & The Wild Fires, or occasionally with his American roots-meets-West-African-roots project under his Peace Corps name in Mali, Lassine Kouyate. For Low Flyin’ Planes, his seventh album, Klein teamed up once again with his longtime producer and engineer Bronson Tew at Dial Back Sound in Water Valley, Mississippi. “This feels like the final chapter in a trilogy of records I’ve made with Bronson,” Klein says, “although we’re already on to the next one together as well. He’s a close friend and a genius engineer and producer whose role in shaping the sounds and textures of these records and bringing my songs to life can’t be overstated.’You set them up; I’ll knock them down’, he’s said about our musical partnership. And it’s true- these albums are just as much his handiwork as they are mine.” The other two albums in this so-called trilogy include 2013’s Sky Blue DeVille and the 2015 release Archer’s Arrow. “To me, Low Flyin’ Planes is the sonic follow-up to Sky Blue DeVille. I think it’s a natural progression.” To that end, the record features sometime Wild Fires guitarist Crash Cason, former Wild Fire Tew on drums, guitar, and harmony vocals, and the sound is capably filled out with Matt Patton (Drive-By Truckers) and Stuart Cole (ex-Squirrel Nut Zippers) on bass, Eric Carlton (Jimbo Mathus) on keys, Kell Kellum (Young Valley) on pedal steel and guitars, Will McCarley (Fat Possum Records) on drums, Hank West (Squirrel Nut Zippers) on sax and trumpet, and other ace players from the Oxford, MS, scene. The result is a strong, sincere collection of folk rock songs featuring Klein’s signature warm vocals colored by a lush, textured sound. Speaking about “Crossin’ Texas”, and the album generally, Klein says: “It longs for the open road – that liberating feeling of possibility, stimulation, and aliveness. I’ve had a mystique about Texas and Texas music for a while, and of course Highway 61 is steeped in American lore and history in so many ways. In this song, and at many other times, I want to be on the move and to take in such places,” said Adam. “One of an individual’s greatest challenges may be just to remain true to oneself. To stay alert, energized, disciplined, driven, and inspired. To do the hard, intentional work of constant growth, learning, and seeking, and to harness the resulting ambitions and direction into purposeful action,” he notes. Sounds like a plan, but it’s certainly easier said than done. Klein recognizes our impulses may guide us to surprising, gratifying places, or lead us astray from focus, clarity, and agency in our own lives. This theme is present throughout the album, from the wistful opening track, “To the Birds” (“So careless we come/ so thoughtless we throw/ all our hopes and all our lives/ small coins into melting snow”) to the stark title track (“And we turn it all on a dime/ no rhyme or reason”). As always in Klein’s work, stories abound. The chorus of “Lead Guitar” finds Klein performing solo in a coffee shop longing for the full band presentation of his songs (“The songs are callin for tremolo/ rhythm section and a piano/ couple of horns and some sweet harmony/ but I’m just playin here all alone/ in some little coffee shop or here in my home/ nobody knows the songs I have to sing”), but the verses recall two memorable events in Klein’s extensive musical travels– running out of gas on I-20 after a show and walking nearly eight miles with Tew in the middle of a cold night before being picked up by the police and driven to the nearest gas station (22 miles away! ); and being detained and interrogated with Cason in Calais, France, upon trying to enter the UK for a tour without the proper work permits. While certain songs may suggest a sense of defeat, it’s certainly not all doom and gloom on show. As is Klein’s tendency, even amidst a heartfelt set there’s room for some fun and levity. “Look Out (Doraville)” is a straight rocker replete with epic sax work compliments of Hank West (Squirrel Nut Zippers) in which Klein greets his new home in metro Atlanta, referencing the little town made famous in the eponymous Georgia Rhythm Section tune. Klein sings, “Look out Doraville/ gonna loiter on your avenues/ Buford Highway will be my drag”, and name checks a nearby, useful governmental agency: “if theres an outbreak or chemical warfare/ I’ll be by the Center for Disease Control”. A few tracks later, side B opens with the jangly “Too Cool for School”, another straight-forward pop-rock tune that gives a nod to one of Klein’s favorite local Athens spots, Hendershot’s Coffee, and even takes a shot at the slick commercial pop output of the Nashville country scene. “Spent”, the soft, closing number, ends with a stanza filled with references to songs of the late great Athens songwriter Vic Chesnutt. A fitting end to an intensely delivered song cycle, “Spent” expresses a certain weariness from the hard-go of life as a striving musician: “Spent all my money/ spent all my time/ spent all my favors/ spent all my rhymes”. Looking back, Klein tries to calculate the gain, accomplishments, and even import of his chosen lifestyle of a number of years. In this moment, in this song and on this record, it seems to be a futile endeavor. “It’s hard to account for the seeds that I sowed,” he sings. Nevertheless, Klein presses on– with Low Flyin’ Planes, with future albums, and with bringing stories to life through his acting work; because he is a songwriter, a storyteller, and a searcher at heart. As he sings in “Spent”: “… there’s no way to squelch this fire burning within.” Whether or not he finds new backing, an elevated platform, or a greater sense of notoriety, he will dependably ply his trade in story, song, and on stage. Low Flyin’ Planes is a varied set that explores some central, deep questions of life while simultaneously stretching out for an enjoyable, casual ride. “We are surrounded and bombarded by so much that possesses little real meaning or valuable currency. I want to try to be present on a higher plane, electrified, excited, alive with joy and fear each day,” said Adam. “I have found this feeling in travels, in places like West Africa, India, Nicaragua. I found it on the great American road, from Big Bend to Big Sur to New York City to the Mississippi Delta,”. Klein’s music has garnered praise from Paste, No Depression, Georgia Music, Sing Out!, Flagpole, Stomp & Stammer, Maverick, and Connect Savannah Magazines, as well as on numerous Americana blogs worldwide (Americana UK, Roots Highway, CtrlAltCountry, etc.). His second and third releases, Wounded Electric Youth and Western Tales & Trails, debuted on the Euro Americana charts at #5 and #4, respectively. Klein has performed throughout the U.S., toured in the UK, Ireland, and The Netherlands, and been a showcasing artist at Folk Alliance. He has shared the stage with a diverse range of acts including Josh Ritter, Kevn Kinney, James McMurtry, Okkervil River, Abigail Washburn & the Sparrow Quartet featuring Bela Fleck, Shawn Mullins, Jim Lauderdale, Robert Ellis, Joe Pug, Steep Canyon Rangers, Eilen Jewell, Shovels & Rope, Jonathan Byrd, Caroline Herring, Jim White, Jill Andrews, Fred Eaglesmith, Larry Keel & Natural Bridge, Andrew Combs, American Aquarium, Bill Mallonee, Eef Barzelay, Larkin Poe, and more. Klein’s records have featured a who’s-who of talented musicians from Athens and beyond, including producer, engineer, drummer, and vocalist Bronson Tew, Randall Bramblett, John Neff, David Blackmon (Widespread Panic, Jerry Reed), Lera Lynn, Carlton Owens (Cracker), William Tonks, AJ Adams, Ike Stubblefield (Marvin Gaye, Al Green, B.B. King), and Phil Parlapiano (John Prine, Grant Lee Buffalo). In 2012 Klein released his first ‘world music’ record, the original Malian Mande collection Dugu Wolo. An associated making-of-the-record documentary film is in the works. Klein is the founder of upstart independent label Cowboy Angel Music and co-founder of the Athens Americana Music Festival in Athens, Georgia, held annually from 2007- 2012. He currently hosts the quarterly African Sky Podcast, discussing issues of Malian history, culture, and development with a variety of guests. Also a represented Atlanta-based actor, Klein’s roles have included Amazon’s “Z: The Beginning of Everything” as well as various commercials and indie film projects. He can be seen performing his unreleased song, “Goin’ Down to Peachtree”, in the award-winning independent film Born River Bye.